from our generative jewelry design project CIRCOSIS. we have produced a whole series of uniquely different ring designs from a single design process. 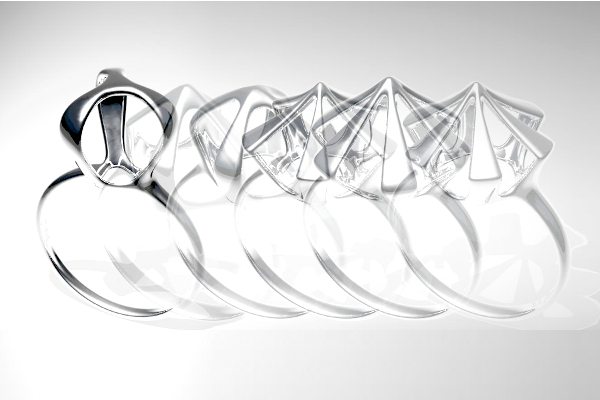 Which of these could be the ideal ring design for you? Click on the picture above to see more of the various designs. The rings of Project CIRCOSIS are made to order. It takes about 1 month before we deliver your chosen ring in your preferred ring size. Do place your orders early! Our new creation has just arrived! in 925 Sterling Silver and plated with Rhodium for long lasting shine and color. but held down by the silver band. A delicate design and beautifully made ring which we are very happy with. We hope you will enjoy it too. This is the Second Volume of Newspost about Monocircus' latest project for generative jewelry design, CIRCOSIS. In this volume, we created a youtube video to share with you our design process for this project. 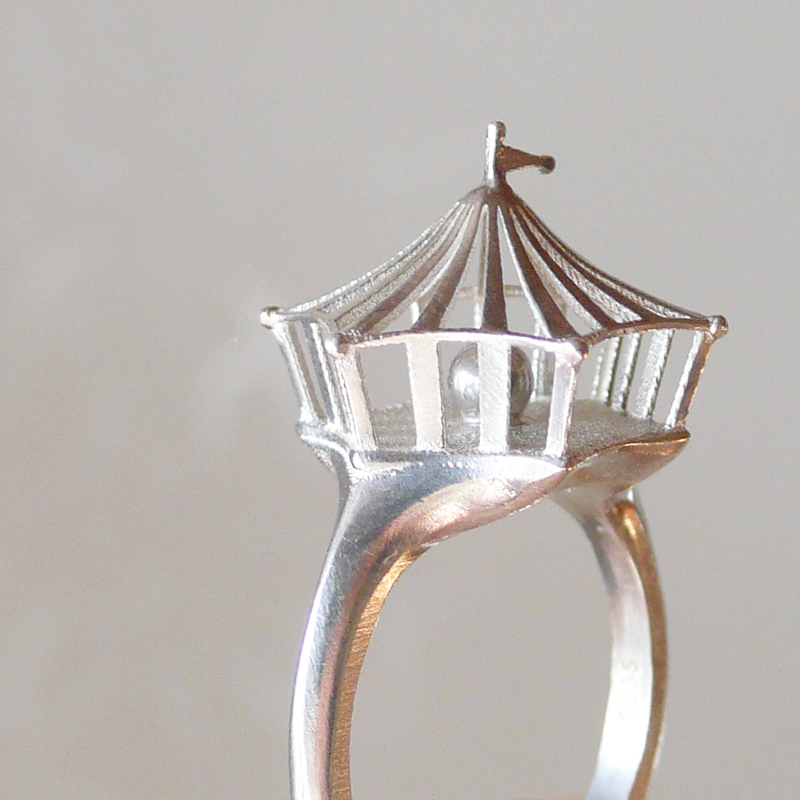 the spherical form of the ring design gradually transforms to become a Circus ring. the concept for this project is to achieve a one of its kind item that belongs to a family or species called the CIRCOSIS. 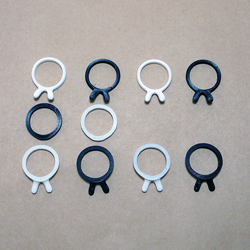 Right now, we have created 36 different varieties of CIRCOSIS ring. You will be able to see all these 36 varieties in the image in our top page (home) slider. CIRCOSIS is scheduled to be up for sale sometime next month. Do look out for it! By the way, you are most welcome to leave your comments below. This is Monocircus' latest and work-in-progress 3D printing project for our latest accessory series entitled CIRCOSIS. The title, CIRCOSIS, is derived from merging the two words, Circus and Genesis. through generating a diversity of forms and characteristics. The above images show a sample of the various designs we have created at this current stage of exploration. These models are currently being fine-tuned to be eventually produced. developing multiple yet unique forms. We will be explaining further regarding this exploration in our next newspost. As for this newspost, we would like to just introduce the general framework of the Project for now. We are pleased to announce the arrival of our new batch of CIRCUS rings! They just arrived this afternoon and they are looking even lovelier than ever! We are very happy that this item has so far been very well received. We hope to make this Monocircus' very own unique signature item. we tested making another ring with our 3D printer. this time a DONKEY! made in brown plastic. doesn't it look more like a horse or a dog? whatever it may look like, it looks funny and we like it. do feel free to drop in your comments! 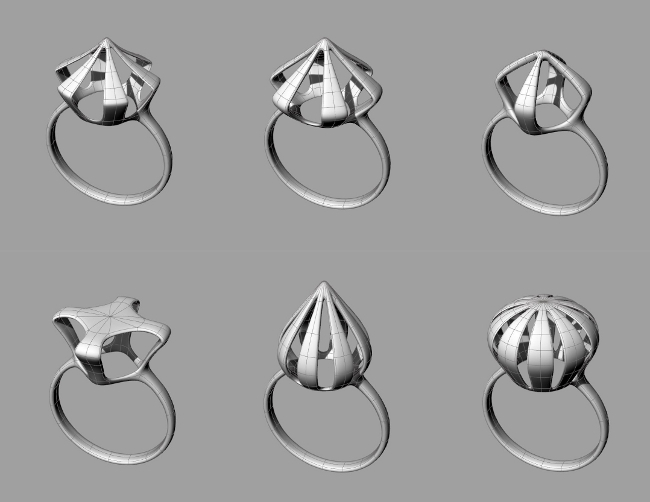 We are currently in the midst of testing and developing a series of rings with our 3D printing machine. 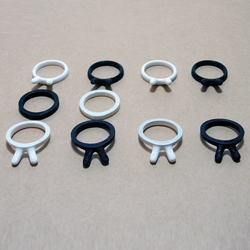 This series will be the first rings to be produced by our machine. Sizes of each ring will be customized as per specified by each order. The photos here shows the sample components to one of our new designs, which will be launched in January 2012. Look out for their arrival!